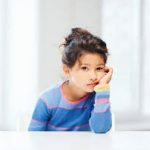 At least once a week, a highly sensitive or gifted child or adult tells me that they HATE being SO DIFFERENT from other people. Highly sensitive and many gifted people have Central Nervous Systems that are more perceptive and more reactive than that of most people. They perceive many things that go right by most people, from a tiny piece of lint on the floor to the buzz of fluorescent lights or inconsistencies in test questions at school or rules and regulations at work. Is this You or someone You love? If so, then you or your child might like to wear the Badge of Honor of being called a CASIGY™! Why use such an acronym? Many of these characteristics go along with being highly sensitive. All of them can (but don’t have to) go along with being gifted. And both of those terms can be negatively loaded, both for the people who wear them and for others around them. So, if you like this, feel free to use CASIGY. If you don’t, feel free to ignore it. Either way, the more of these characteristics that one person has, the younger they may be when they notice that most other people are different than they are. Neurotypical children usually begin to develop their ideas of “Who Am I” during the Terrible Twos. For CASIGYs, this may start much younger. Numerous highly sensitive and gifted people have shared with me the fact that their awareness of their differences began before the age of one ye ar old. All too often, this awareness combines with the reactions of others to CASIGYs’ differences, and may lead to the conclusion that there’s something wrong with them; that they are inferior, inadequate or defective because of their differences. And if that comes on top of other differences such as race or ethnic background, or later gets joined by a gay, bi or lesbian sexual orientation, the more significant these differences become. The more of this that a person experiences, the more difficult it then may become for a CASIGY to build a strong, healthy and resilient self-esteem. (For info on how CASIGYs can build Self-Esteem and Emotional Resilience, check out my ACES Program). Strategy #2: You’re Not a Defective Draft Horse; You’re a Race Horse! Like the differences between a draft horse and a race horse, one is not better and is not worse; it is just different. A draft horse is bred for heavy work; it has a patient temperament, a docile demeanor and is sweet tempered. 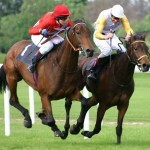 A race horse, on the other hand, is bred for running fast; it is high spirited, agile and bold. It also is likely to not only see a mouse by the side of the road that the Draft Horse doesn’t even notice, but the Race Horse may also get spooked or jumpy in reaction to the mouse. Neither kind of horse is better or worse than the other. 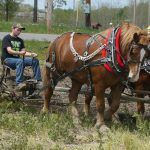 The problem comes when you expect a draft horse to run a race or a race horse to pull a wagon or a plow. Each one needs to be in a situation appropriate to its abilities and to have expectations placed on it that fit who it is and its strengths and stretch points. The same is true for CASIGYs. Which of these types of horse do you or your children relate to? Most CASIGYs tell me that they relate more to Race Horses than to Draft Horses. 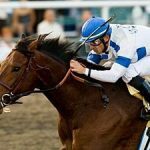 If you or your children identify more with being a Race Horse, then it’s crucial that your school or work place is one that is set up to match the needs and abilities of Race Horse people. If it is not, it is a recipe for disaster. When you hook a Race Horse up to a wagon, it will likely destroy the wagon and injure itself. 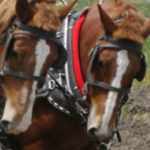 If you expect a Draft Horse to run a race, it may get frustrated or not cooperate with racing. It may also accidentally get in the way of horses that are racing. Again, CASIGYs are not better than others, and are not worse than others. You are not inferior or superior; just different. It’s important to understand and embrace ourselves ─ our differences, our strengths and our vulnerabilities. It’s also important to understand the culture we live in, and its strengths and vulnerabilities. It can be important to learn to identify is THIS a situation suited to a Race Horse or a Draft Horse? If it’s not suited to the type of ‘horse’ that you are, then how does that inform you about how to deal with the situation? For example, do you need some equipment suited to the type of horse that you are, such as ear plugs, sound canceling headphones or a quiet place in which to study or work? There can be tension between the desire to have the needs of the CASIGY accommodated by the school or work environment and the need to value oneself. This can be a fruitful tension. It is also one that ultimately can lead us to the place where we realize that it is not an Either/Or situation, but “Both/And”. This needs to happen within us and in our environments as well. This can start at home – in learning to understand, accept and embrace your own wholeness – ALL of who you are; both your strengths and your vulnerabilities. Once you can do this, you are in a much better position to help those around you understand your uniqueness, and how you can make a creative contribution to your school or work community. However, CASIGYs are often not in that position of strength to start with. When that is the case, then there is an opportunity for schools and workplaces to identify the CASIGYs in their midst, so that CASIGYs are able to develop and use their unique gifts to benefit everyone there. It’s also important to prevent the problems and damage that can occur when CASIGYs’ vulnerabilities get activated, as in when a Race Horse gets hooked up to a wagon, or a Draft Horse is placed in a race. In our next post, we’ll continue with Strategy #3: CASIGYs Have a Mascot!